Entitled, "Spiritual Care: What It Means, Why It Matters in Health Care," HealthCare Chaplaincy Network (HCCN) and, its affiliate, Spiritual Care Association (SCA) hosted the first meeting on Capitol Hill for United States legislators and their staff at the end of October. 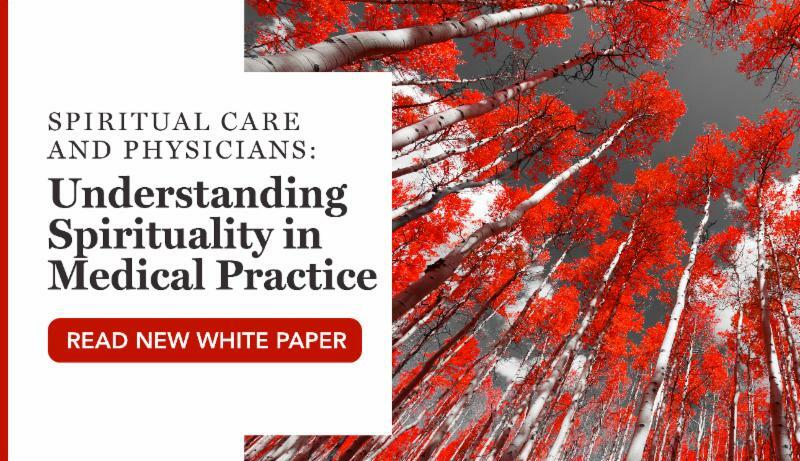 HealthCare Chaplaincy Network and Spiritual Care Association have released their latest white paper on the integration of spiritual care in the medical field for the role of a physician entitled "Spiritual Care and Physicians: Understanding Spirituality in Medical Practice." This is third white paper by both organizations. National Hospice and Palliative Care Organization (NHPCO) has deemed November to be National Hospice and Palliative Care Month. This year's theme is "It's about how you live." During these 30 days, uncover resources that can assist in educating and promoting the cause. (National Hospice and Palliative Care Organization). The Wholeness of Life Gala will take place tomorrow, Thursday, Nov. 16, at Guastavino's in New York City! Learn what this event means to us.